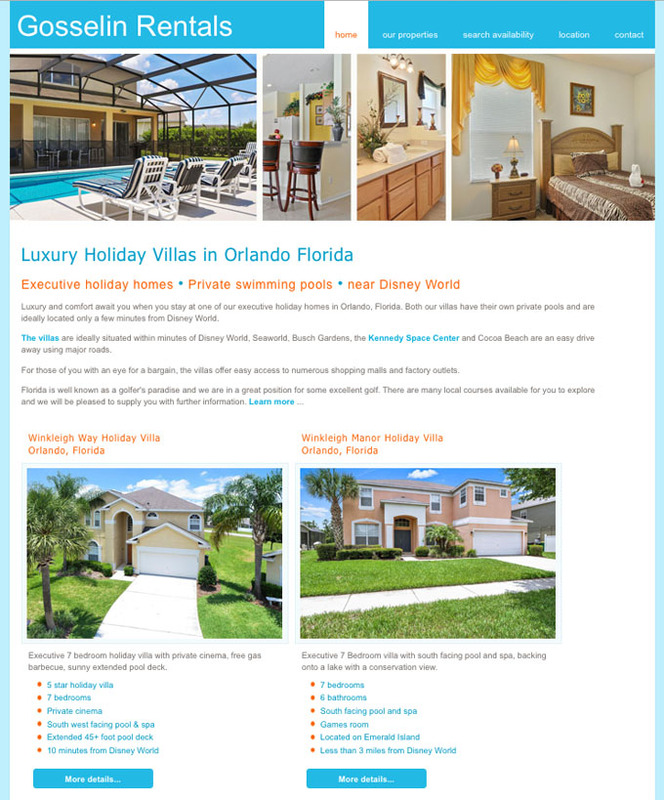 Website redesign for holiday villas in Orlando Florida. This is an established business and the client had an out-dated website which needed a complete makeover. 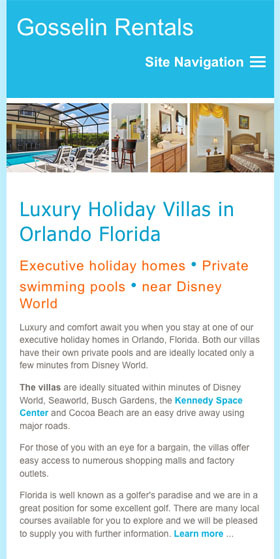 We redesigned the site to be responsive and modern using a bright and colourful design to suit the client's preference. We used the original content with new photo galleries and sourced some new images for the location page.